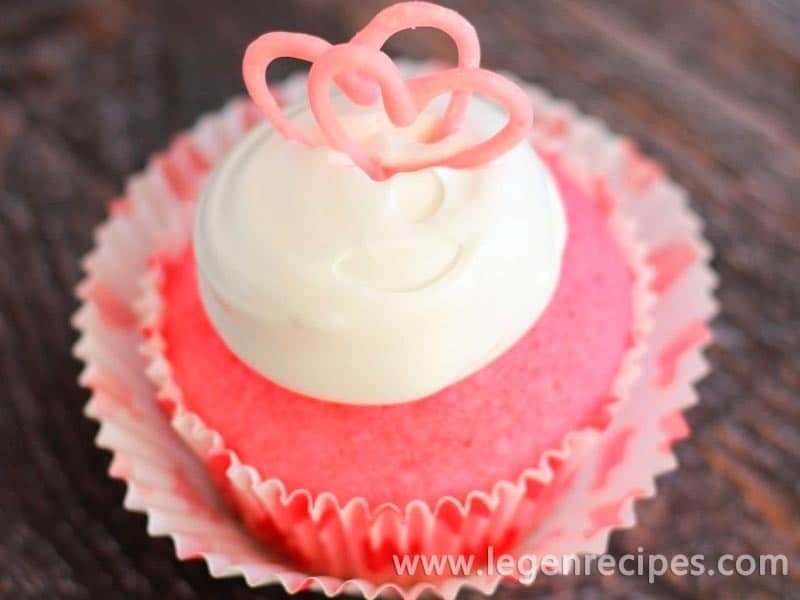 Pink Champagne Cupcakes with Marshmallow Frosting and Chocolate Hearts. 1 1/4 c. pink Champagne, room temperature!! Divide batter evenly among muffin cups, filling them about ? full. Pipe hearts and ‘love’ in cursive (or whatever other designs) onto the parchment paper.